Recorded: Recorded live at Seibu Stadium, Tokorozawa, Japan on November 3rd. 1982. Comments: The last gig in Japan on this this 'Hot Space Tour' in 1982. 60 minuttes of this show was released officially on VHS video in 1983, but ONLY in Japan. Later on laser disc (same as VHS release, and Japan only). Actually the first officially live video release from Queen. A 'Not On Label' release. 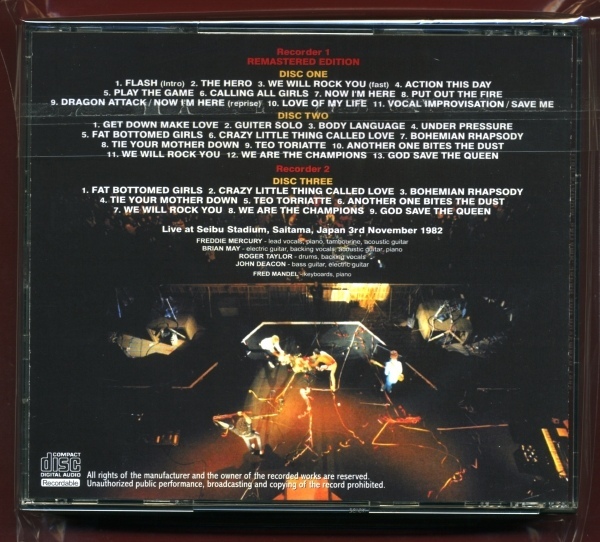 Cover say's 'original audience recording'. CDR 3 seams to come from another tape source. Might be a bit better than the complete one since it's included. 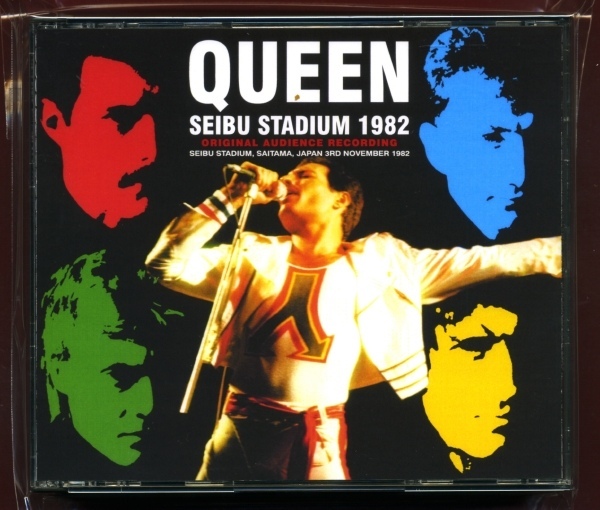 CDR 3 is also released on it's own with title 'Seibu Stadium 1982 - Uncirculated Master-' 1cdr, a 'Not On Label' release. Roots: From an audience recording.